Discussion in 'Amplifiers' started by Rooster7six, Oct 25, 2018. Ok. So I have an MT15 and if I turn the volume to 8 o'clock or higher it has a really loud squeal while I'm pressing down on the strings. It does it on my fishman modern loaded guitar, an EMG loaded guitar, Nazgul loaded guitar . I have a Gibson V with a burstbucker 3 and it's not too bad and I have a JB loaded guitar that I potted myself that doesn't have a lot of noise. Today I bought a Mogami Gold cable and went straight into the amp. Still does it . I had put all tung-sol 12AX7's in the pre and a 12AT7 in the phase inverter. Pulled em all put the JJ's back in same ****. I have EHX EL34's in the power section but haven't messed with those yet . Any ideas? Happens only with a guitar plugged in? If so, it’s pickups feeding back, first things to do are move out of the direct path of your speakers, and/or reduce the amount of gain from the amp. ScottR and X-Mann like this. It's only when the guitars are plugged in .I'm plugged in with 18' of cable and as far away as possible, even went around the corner from my bedroom. The gain is around 11 o'clock, thats pretty low. I've had many amps, all high gain and never had this issue . Could it be a valve that's gone microphonic? As the EL34s are the only ones that you haven't swapped it sounds like the next task is to change those. For sure. I have a couple more and some 6l6's guess that will be the next step . But since it doesnt do it without a guitar plugged in i dunno. i wonder if something electronic could be causing it? Like a TV? How was it with the original power tubes? Did it just start after the EL34s were installed? Rooster7six and X-Mann like this. 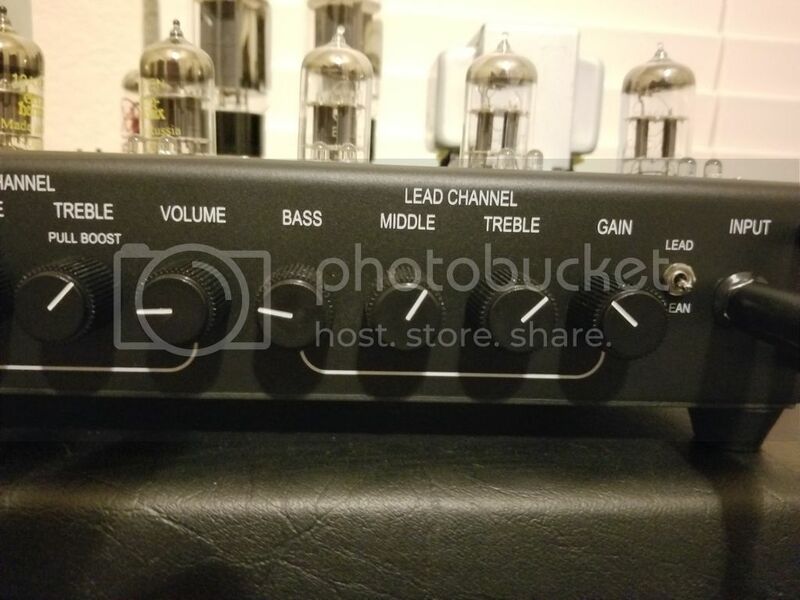 You can put EL34 power tubes in the MT15 amp? I did not realize this at all! I assume a full re-biasing needs to happen 1st. What does it change in sound & feel compared to the 6L6’s? I’m a fan of EL34 amps in general, but love the sound of the 6L6’s in this amp & wanted a different flavor overall. Did ayou have the issue w/ the stock tunes & these guitars? Have you been playing the amp out or moving it around a lot? I don’t remember if I ever cranked it up. And then I moved it down into my master bedroom so there were a lot of changes in a short time. If you have a meter it takes one min! Super easy. The EL34’s sound great! I think you get a little more mids and growl. Still has plenty of low end. You can. I contacted PRS before I did it. I'd certainly start by going back to stock or at least different tubes and see what happens. I've put in all stock tubes, put in a different set of EL34's, stock 6l6's and finally Tung-sol 6l6GCSTR's and a different speaker cable. Not sure what else I can do. Yeah the Fishman moderns seem to be the worst. I just sold a dual rectifier multi-watt and had none if these issues . But i guess I didn't have to push the power section hard to get these same volumes . This amp probably is higher gain . I'll definitely try to lower the pups. Thanks for the advice!